We saw a sea of stunning stapless gowns at the Golden Globes earlier this month and the trend continues at the Apsara Awards held on January 25th, 2012 in Mumbai. The gown, the jewelry and the hair... all perfect. 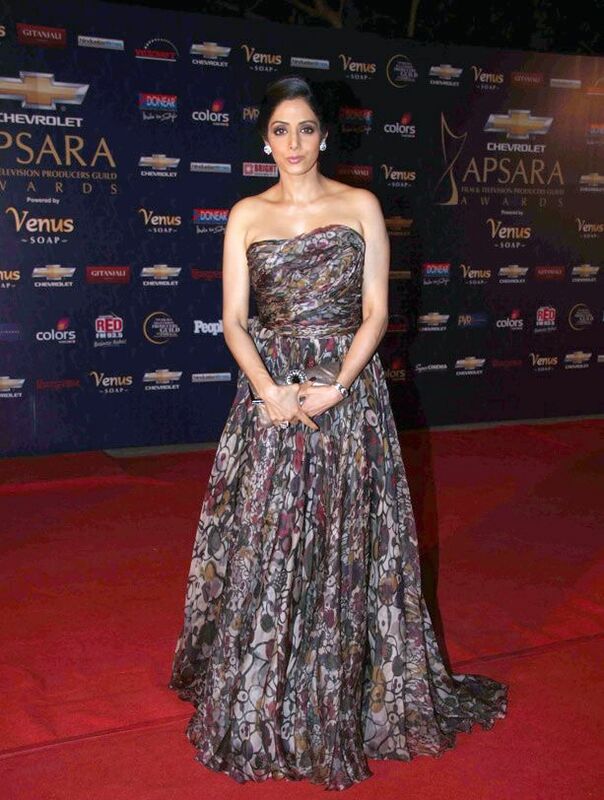 Sridevi really worked the red carpet at the Apsara Awards and was my favourite look of the lot.